We install composite doors across Dunfermline, Edinburgh, Stirling, Rosyth, Perth, Dundee, Fife, Glasgow and surrounding areas. Composite doors are a beautiful door option, generally thicker than uPVC doors. They are made from various materials which are compressed together. The materials are selected specifically for each individual need, and are designed to counteract flaws common in single-material doors. Combining the best in modern function and traditional form, our composite doors specialise in capturing the look of a traditional timber door without featuring any of the out of date problems that comes with the material. You’ll be able to enjoy the best of both worlds. Their inherently robust structure brings a certain peace of mind that doesn’t come with other door options. When you choose a composite door from SRJ Windows, you’ll be able to enjoy the best in style, innovation and security. All of our composite doors are installed by our expert team, so you’ll be able to enjoy the highest standards of efficiency and professionalism. We have developed our service over 25 years, allowing you to enjoy unbeatable composite doors sooner and easier. To keep the winter winds out of your home, our composite doors have been thermally simulated in accordance with BSENISO 10077-2: 2003, and the following specifications using the large outerframe achieve ‘U’ values of 1.8 W/m²K or better. All of our doors are tested to the very latest British / European standards for air, gusting performance and air via BSI and BBA. As all of our composite doors are made to measure, they bypass any of the weaknesses that can come with cut to fit doors. This includes a bespoke reinforced inner and outerframe, which is specially designed to hold high security hardware like locks, deadbolts and hinges. You won’t have to settle for anything less than a completely secure addition to your home. 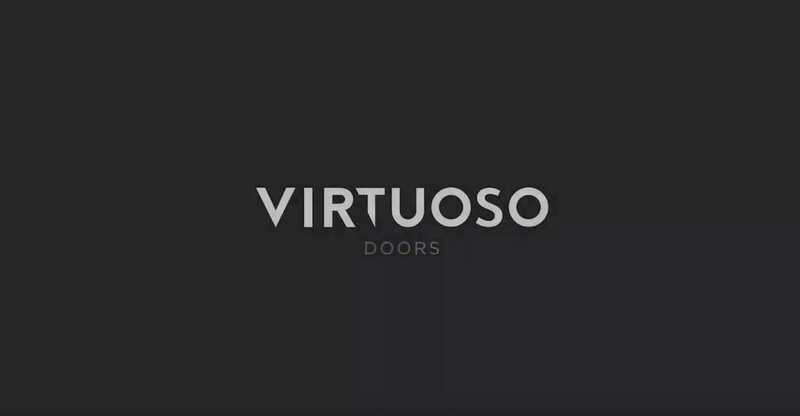 The composite doors that we offer are designed to be as strong and secure as possible, bringing you the best in peace of mind. This includes the use of multipoint locks, steel reinforcement, high performance door hinges with various adjustments for ease, Fab & Fix suited hardware and accessories which hold a Secured By Design accreditation. This means that your home will be protected against the latest in burglary trends. We understand that bringing the perfect composite door to your home is all about how it suits your tastes, as well as the style of your home. This is why we offer many distinct ranges of composite doors for you to choose from. No matter what type of home you have, or what door you’re after, we’ll have something to suit. Our composite doors are available in 21 different, beautiful colours. You’ll be able to choose from standard colours White, Black, Red, Green, Blue, Darkwood and Oakwood, or choose from our Superior Colour Range including Cream, Pebble, Silver Grey, Slate, Anthracite, Midnight, Dusk, Sky Blue, Sage, Olive, Buttercup, Cherry, Heather and Plum. All of these colours are available on the inside and the outside of the door to ensure a consistent aesthetic. Whether you’re looking for something decorative, clear or obscure, our composite doors can be fitted with a choice of glazing options. This allows you to control the amount of natural light coming into your home, as well as the privacy you can enjoy. We also offer surrounding glass for you to get a complete an eye-catching look. Whatever your tastes, we’ll have something for you. Due to their impressive design, our composite doors achieve Secured by Design certification. This initiative, backed by the UK Police, works to ‘design out crime’ by testing home improvement solutions for their crime prevention performance. This means that our composite doors have undergone a stringent testing process to secure your home to the highest standards. 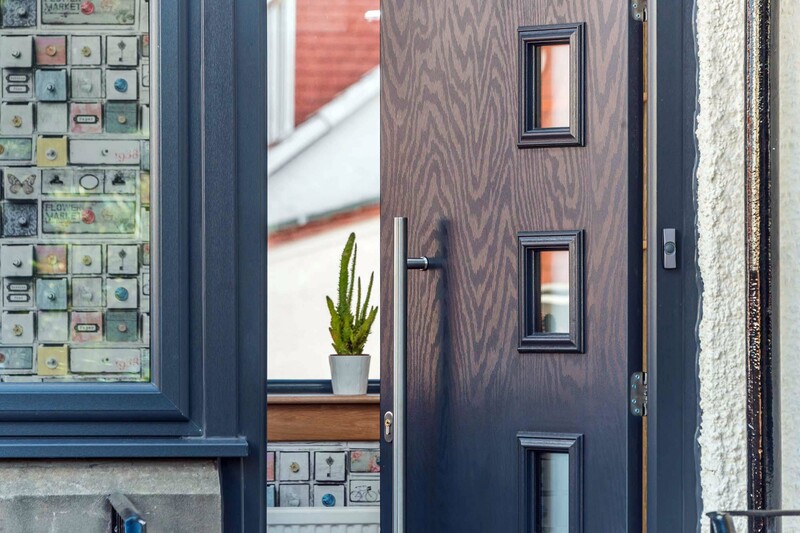 For your convenience, our composite doors utilise a modern design that means they require very little input from you to ensure they look as good as they should. All you will need to do is give them the occasional wipe down with warm soapy water to keep them fresh. The GRP skins on these doors are depression moulded, featuring a timber grain effect and high definition panels. This provides an authentic appearance with minimal maintenance. All of our composite doors will prove to be a worthwhile investment for your home, manufactured from high impact materials to ensure impressive durability. Alongside this, they also contains technology which prevents your door from cracking, bending or warping when exposed to the elements. It’s never been easier to enjoy lasting quality that will continue to keep you warm and comfortable across the year. Get a free door quote using our door designer! A member of our friendly team will be more than happy to offer you a quote based on your exact specifications. You can also get in touch with us should you have any questions, or visit our Fife showroom to see our composite doors for yourself. We’ll always be on hand to help you get the right one for your home.